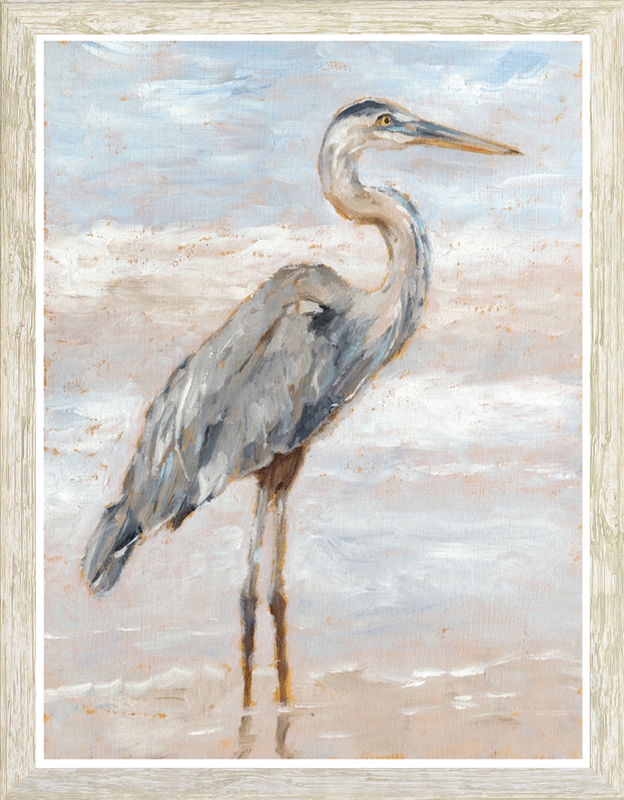 The classic and much-loved Blue Heron is illustrated here in a loose painterly style. 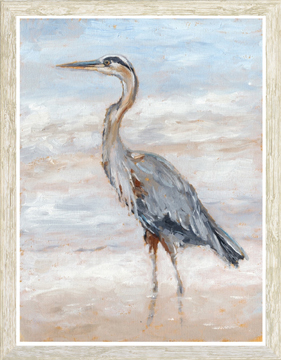 His softly bowing neck is contrasted against a frothy surf. Framed in a white washed, natural-textured profile. One of two offered.